Happy Monday Friends! 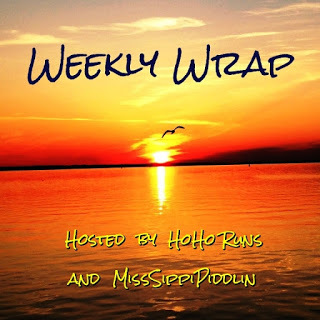 For the first time EVER, I am linking up with the Weekly Wrap hosted by HoHo Runs and MissSippiPiddlin. P.S. I am apologizing in advance for the LONG post! The big thing over my weekend was mny very first trail race. And of course, because I have no concept of moderation, I chose a Half Marathon. 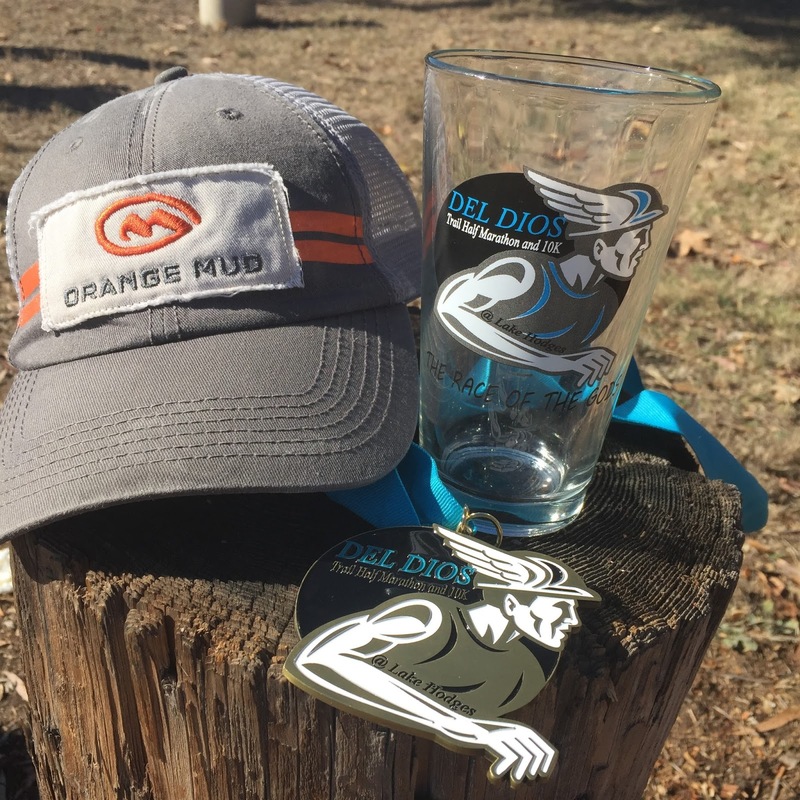 The Del Dios Half Marathon also offered a 10K but why? Go big or go home right? 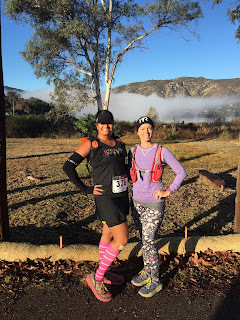 Especially considering that Jenn and Vanessa were tackling yet another 50K over in Malibu Canyon. 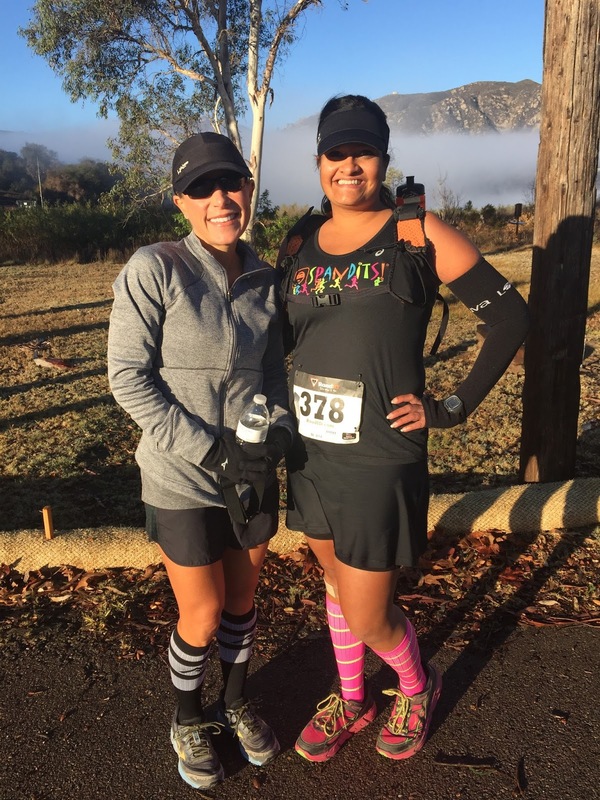 Skirt by Spandits, socks by ProCompression, Visor by Headsweats, Shoes by Hoka One One, arm sleeves by Louva gear and bra by Moving Comfort. This was my original outfit I had planned. 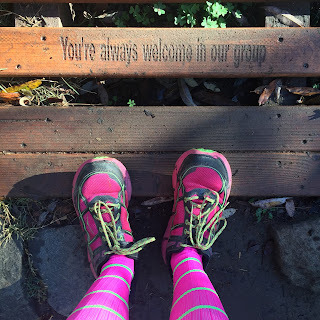 I wanted to wear the new ProCompression holiday sock but it had rained the day before and I didn't want to risk getting them dirty. HAHA! Well, one of my friends informed me that wearing a lime green solid colored skirt might not be a good idea either. So I switched to my black Spandits skirt instead. Me and my favorite Stuftmama! Several of the San Diego Moms Run this Town Chapter members decided to do this race as well. So we had to take a group picture! And my fellow Spandits lover, Alexis, rocked the Fowl Play thermals! 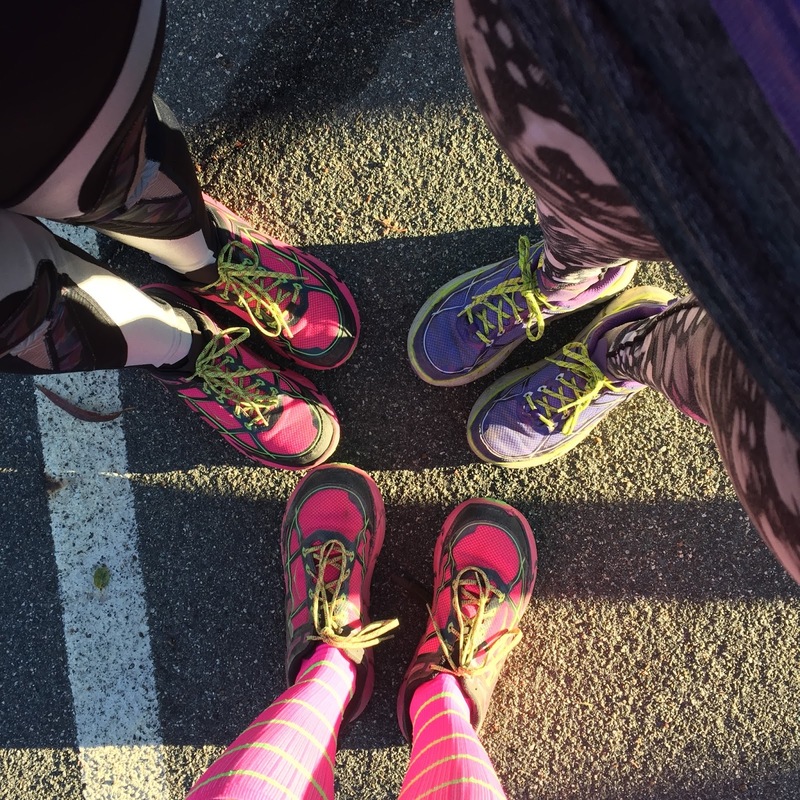 And at least 3 of us ran the race in Hokas! 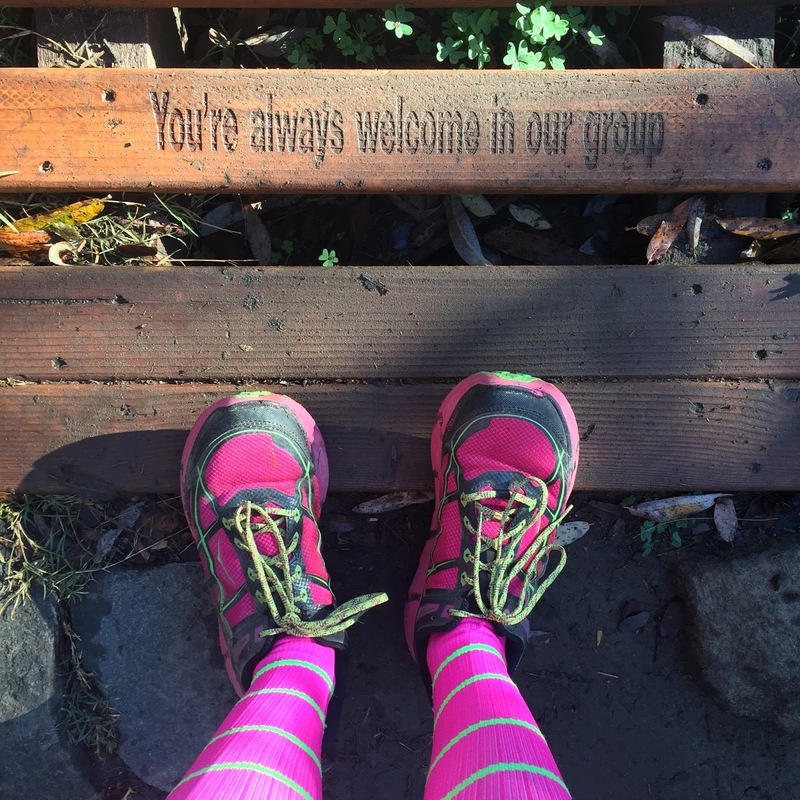 #goHoka indeed! It was a beautiful course around Lake Hodges with even more beautiful weather. In fact, one lady saw my outfit that morning and asked me if I was from Alaska because I was dressed for much warmer weather. Haha! This sign on a little footbridge we had to cross, said it all! Seriously, the splendor of God's playground. Incredible! I was lucky to catch a picture of the speedy Kristin passing me by on the loop! I felt like I was flying over those downhills! 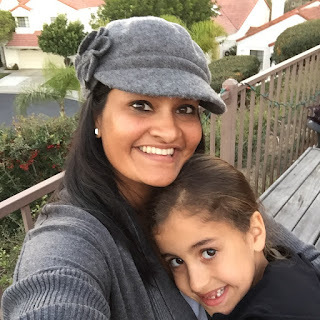 Check out gorgeous Lake Hodges! And let me tell you something about this beautiful lady - Cristina! She was the most positive encouraging soul and never let me stop. My foot hurt. My shin hurt. My knee hurt. She never let me stop! And smiled the whole time. Bless this woman! At the finish line, I met up with fellow Orange Mud enthusiast Jonathan. He came in 4th OVERALL! Beast! This is his hat and his pint glass! Living vicariously! I will say it was a success because I wasn't DFL, I did not DNF or even DNS! WIN! I went home, got cleaned up and took S to a birthday party. Perfect opportunity to rock my new Alice hat from prAna. They have free 2 day shipping right now! And use code JOLLY25 for 25% off your next order! 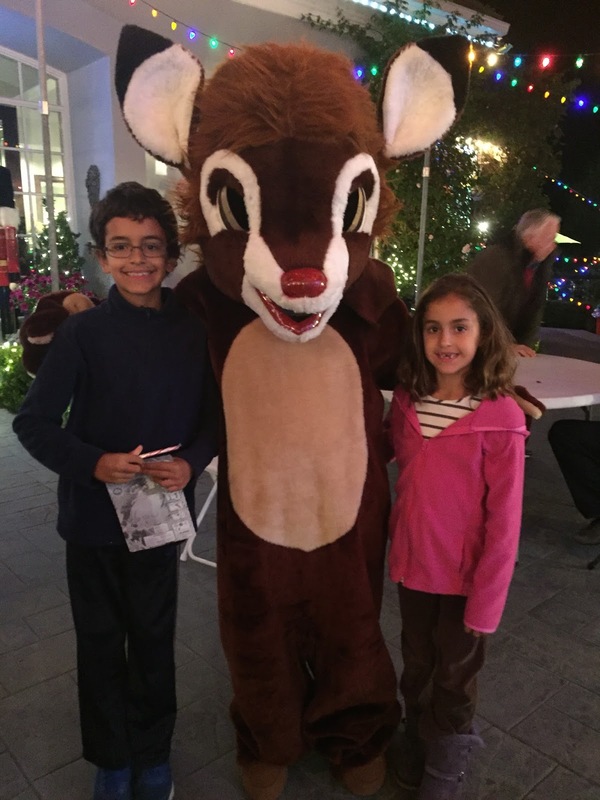 Later that night, we went to see Santa and Rudolph at Santa's House in Poway. Did you know he lives in Poway??? Now you know! It is a magical experience for kids and adults! The whole SD Family with Santa! 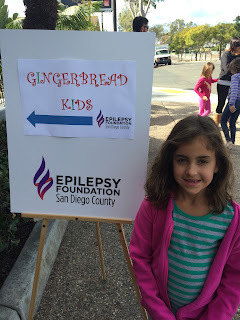 Sunday, after our morning tradition trip to Costco gas and Trader Joes, we attended the Gingerbread Kids event put on by the Epilepsy Foundation of San Diego County. It was marvelous and SD Dad and I learned a lot from the panel of speakers and the kids made awesome gingerbread houses. 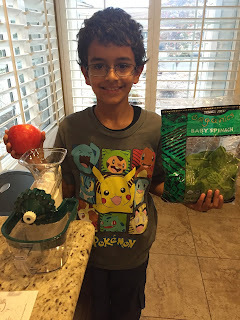 And finally, D, S and I tried out a new juicer we were sent for review and giveaway. More on that tomorrow! PHEW! Action packed weekend but so much fun! I have been bitten by that trail running bug andI can't wait to do it again. What about you? Tell me about your weekend. 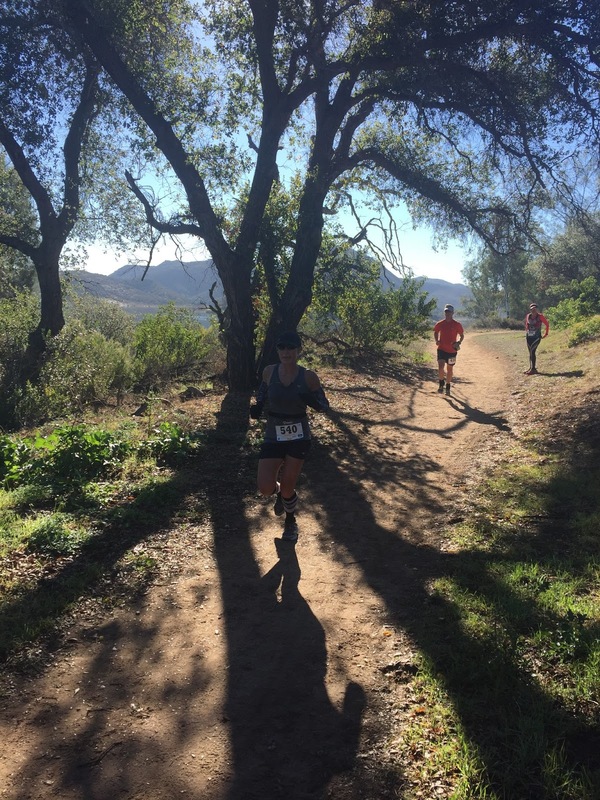 Have you ever tried a trail race? Sounds like a great week Smitha! 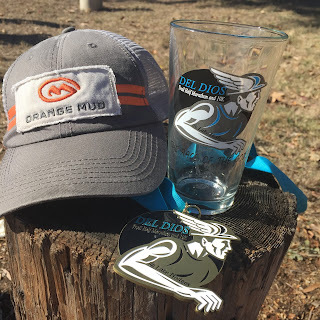 Congrats on the trail race! It looks like an awesome course by your pics! Now that I am in CA, maybe I will see you at a race! I will need to do one in San Diego some time! :) Also love the prAna hat! This looks like a fun race (even though I'm not a runner at all)! 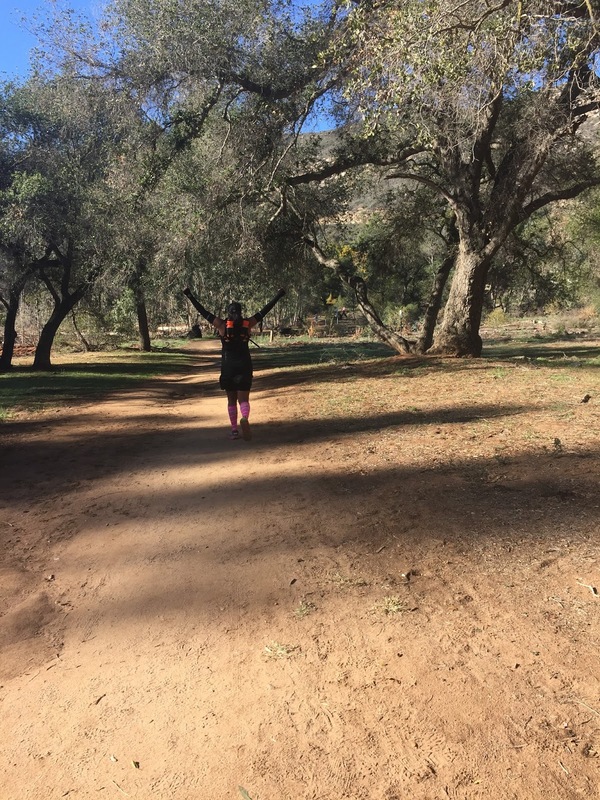 I prefer running on trails than on road. 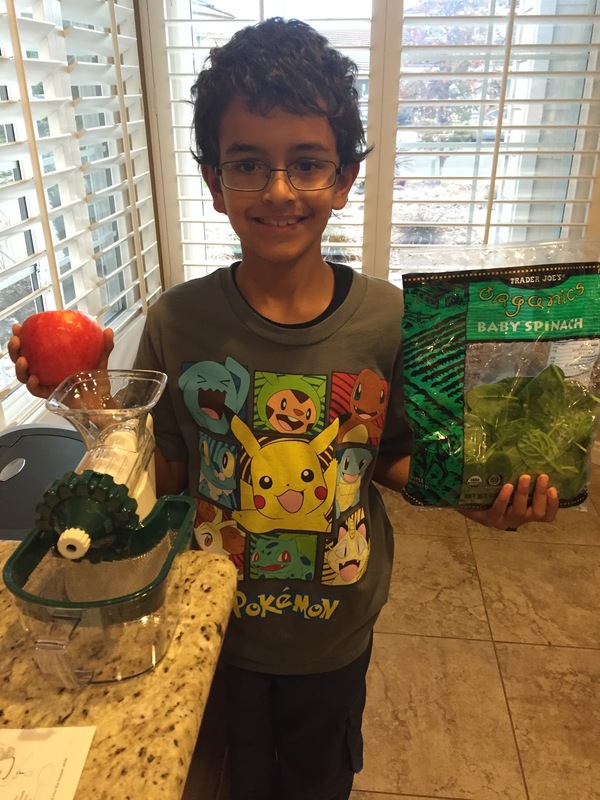 Welcome to the Weekly Wrap, Smitha! We are delighted to have you. 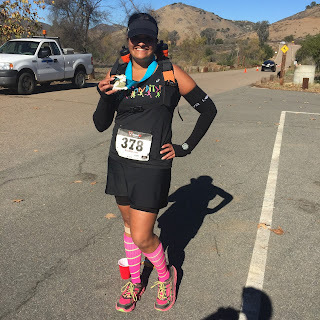 I have done a trail race but only a 5k. They make me a little nervous about twisting my ankle. It looks like a beautiful location. Is that fog I see in the background? A huge congratulations on your first trail half finish! It also sounds like you have a wonderful weekend with the family chock full of holiday spirit. Thanks for joining us! 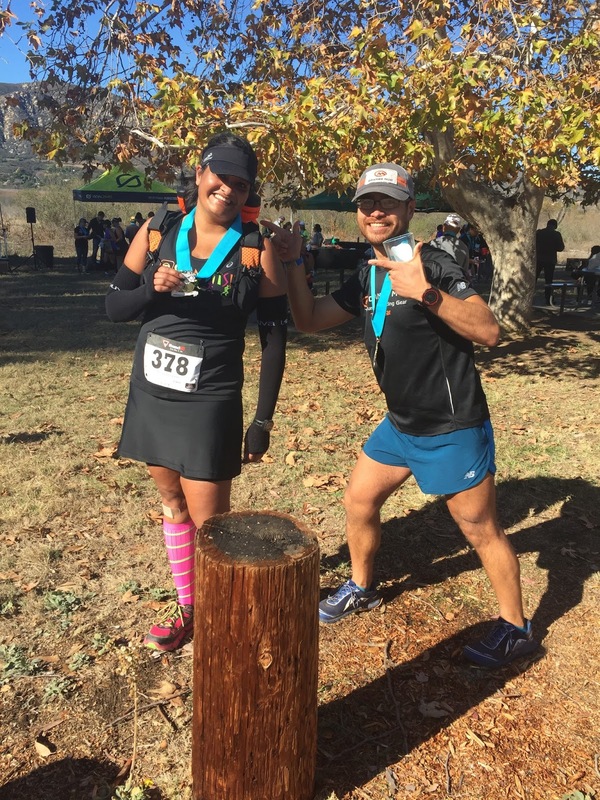 Congrats on your first trail race! It looked gorgeous! I had to laugh at the Alaska comment - I'm from Alaska and have to admit that I get so warm whenever I run in the Lower 48! I was the only one in a tank top in my most recent half marathon - it was in Oregon and it was like 40 degrees and windy, but I was still sweating! That looks like so much fun plus the scenery! Gorgeous. I really need to move! That trail race looks great. Love the little sign on the wooden walk. And your new hat is so cute! 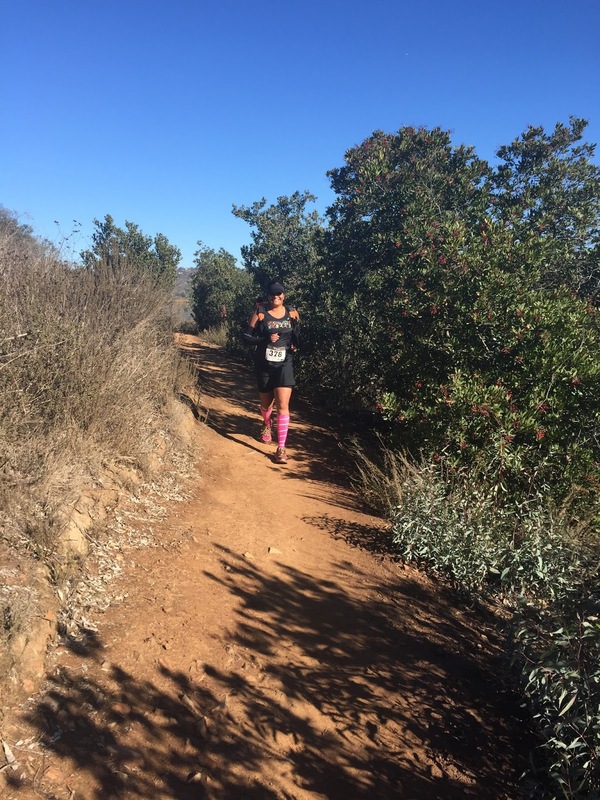 Way to kill that trail half! I haven't done a trail HALF (yet?) but have tackled a few 5 mile races. They're a fun challenge to change things up a bit! :) Way to go lady! Wow – that was an awesome weekend! Makes me want to try trail running too. What a beautiful place to get to run! 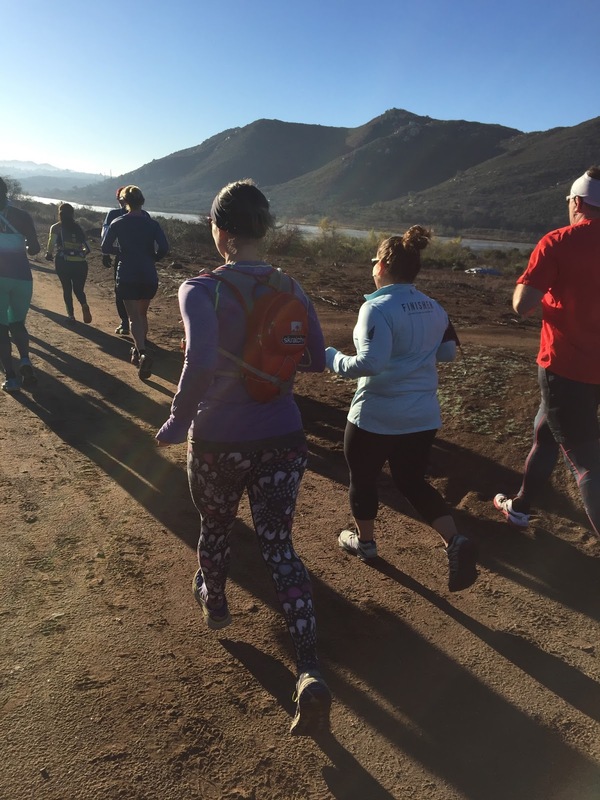 Great job on the trail half! 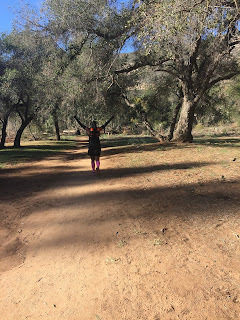 I run on trails all the time but have never done a trail race. I really need to some time!